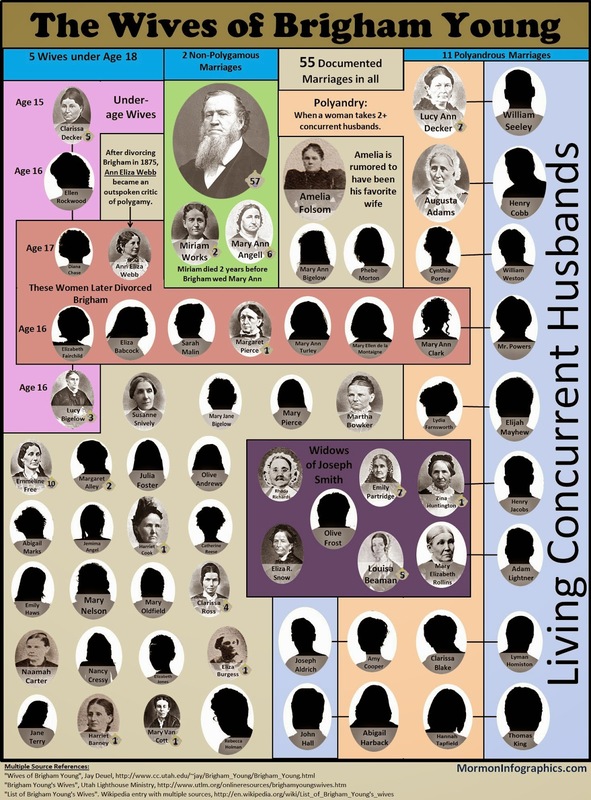 *The black cameo silhouettes were created by mormoninfographics for presentation purposes. For prints, use 11x17 Ledger size. Anything smaller may not be completely legible. 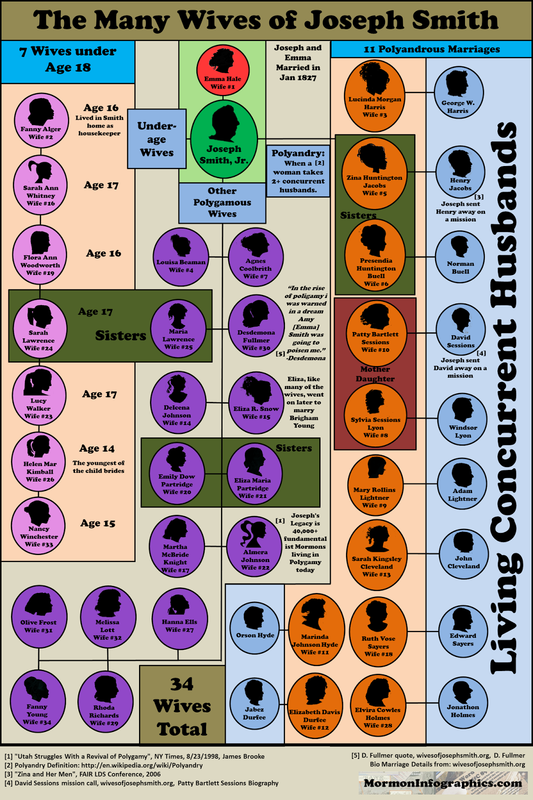 That there is a lot of wives. Brigham also had 38 men sealed to him. I'll have to save that for another chart. I'd like to see the chart with the men. Polyandrous homosexual sealings. That'll make your head spin! Excellent material. I plan to print and post these anonymously at church soon. Can you do one on the various versions of the first vision? Thanks that would be awesome. This one looks best on 11x17 but the JS one prints nicely on 8.5x11. I do actually have a first vision one partially completed. I'll get back to it and release it soon.